DE WADDEN was designed with economy of crew in mind and the extra power from her diesel engine complimented her auxiliary rig. Her wide hatches facilitated the loading and discharge of cargo. 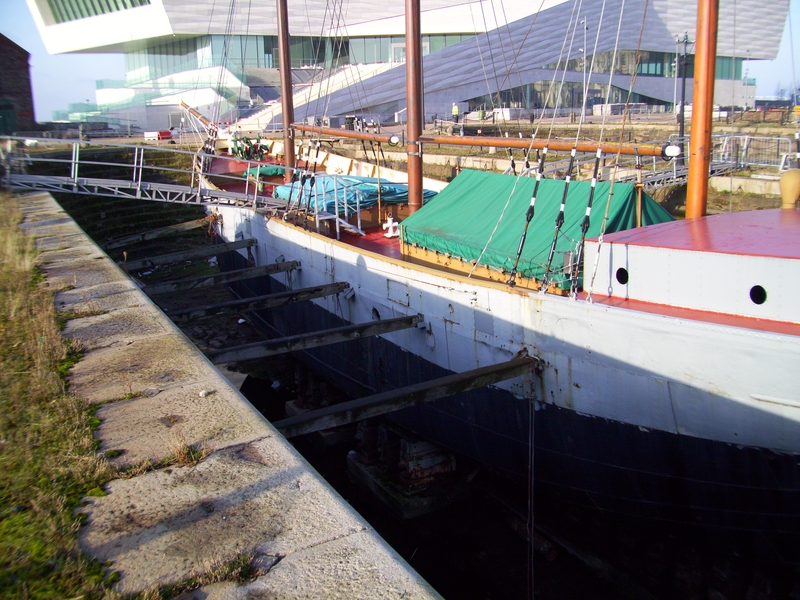 During 1984-2001, conservation work was carried out on DE WADDEN by the Ship Keeping Department at the Merseyside Maritime Museum. At this time, it was decided that her role as an Irish Sea trading vessel was of primary significance and she should be restored to this specification. Therefore, alterations made at other times in her working life, such as the changes made to the main hatch coamings for her use as a sand dredger, were carefully reversed. DE WADDEN was a three-masted auxiliary schooner built in the Netherlands in 1917 at a time when the Dutch were capitalising on their neutral position during the First World War, with Dutch shipping companies making huge profits carrying cargo for both the Germans and Allies. Coal and oil were in short supply, and in March 1918 she sailed between Rotterdam and Bergen. Many Dutch ships were lost through torpedoing, mines, gunning and bombarding, and also by confiscation by both Allied and German forces. DE WADDEN is a rare survivor of these vessels. 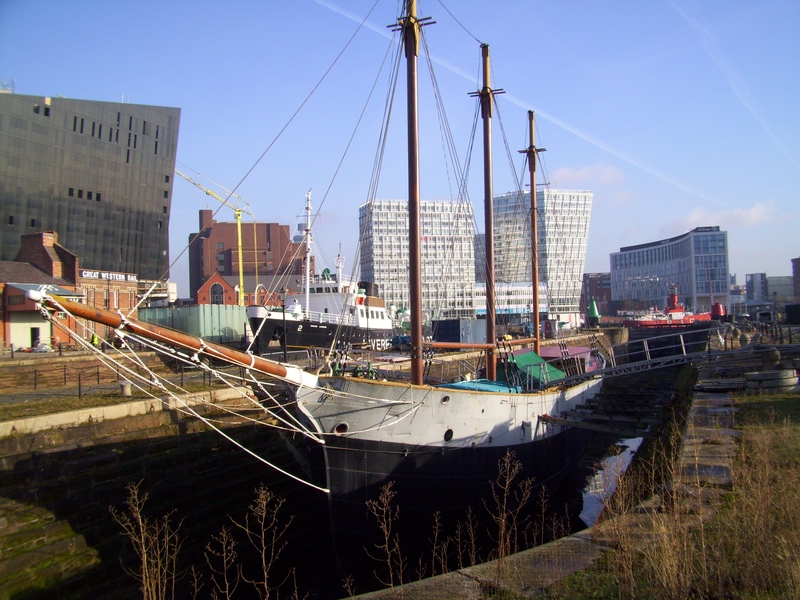 After the War she was sold to Richard Hall of Arklow in Southern Ireland and in this phase of her life, she symbolises the long history of trade between Liverpool and Ireland, and is representative of many other coastal schooners that plied their trade along the North West coast. 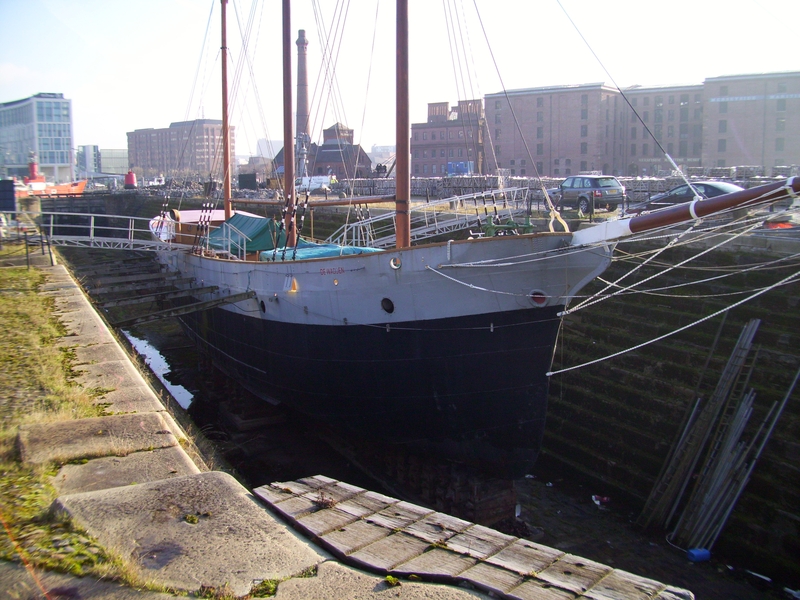 She has strong associations to Liverpool being a frequent visitor there between 1922 and 1961, and was the last trading sailing ship to use the port. She also has great significance within the maritime history of Ireland, as one of three surviving Irish Sea schooners and the only steel auxiliary schooner. 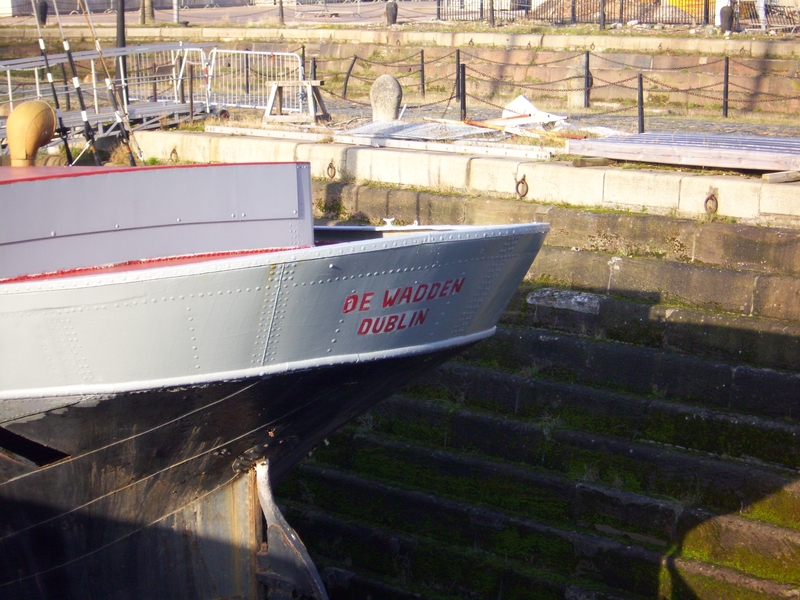 Along with others of her kind, DE WADDEN played a part in the Second World War transporting essential supplies to Ireland. She is the last in a long line of Arklow owned and manned sail trading vessels that acted as a training ground in seamanship for local boys and men over several centuries. DE WADDEN’s significance also relates to European maritime history. She is one of the last surviving Dutch motor schooners and one of the earliest surviving of this distinctive Dutch type. She is an important example of international shipping history, representing the transitional phase between sail and diesel motor coasters developed in the 1920s. In later life, DE WADDEN developed a more popular appeal, featuring in a number of films, including The Onedin Line for the BBC. With her diesel powered riveted steel hull, three lofty masts and long graceful bowsprit DE WADDEN was well suited to her primary function as a trading schooner. She was fitted with a motor winch in the forward deckhouse which meant the cargo could be handled without extensive shore-side facilities. The motor was used almost all the time when she was under sail, allowing her to be built with a flat bottom and shallow draught which provided maximum cargo capacity together with the ability to enter small harbours. 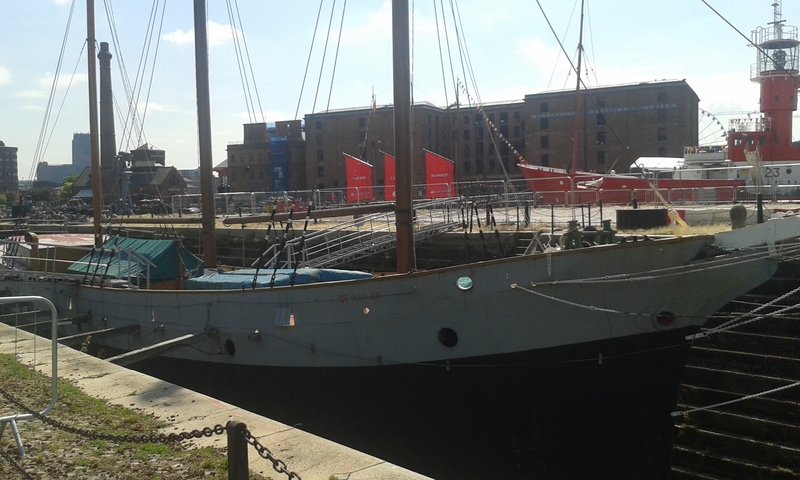 DE WADDEN is now part of the Museum of Liverpool collection and is a static dry dock exhibit in the port where she once worked. Source: NHS-UK team, 26 August 2015. DE WADDEN is a three-masted auxiliary schooner built in the Netherlands in 1917. She was built by Gebr Van Diepen of Waterhuizan, Netherlands, for the Nederlandsche Stoomvaart Maatschappij (Netherlands Steamship Company). This company commissioned DE WADDEN and her two sisters in order to take advantage of the very lucrative trading conditions created by Dutch neutrality in the First World War, and it is vessels like her which provided the foundation for the continuing Dutch strength in the European short-sea trades. 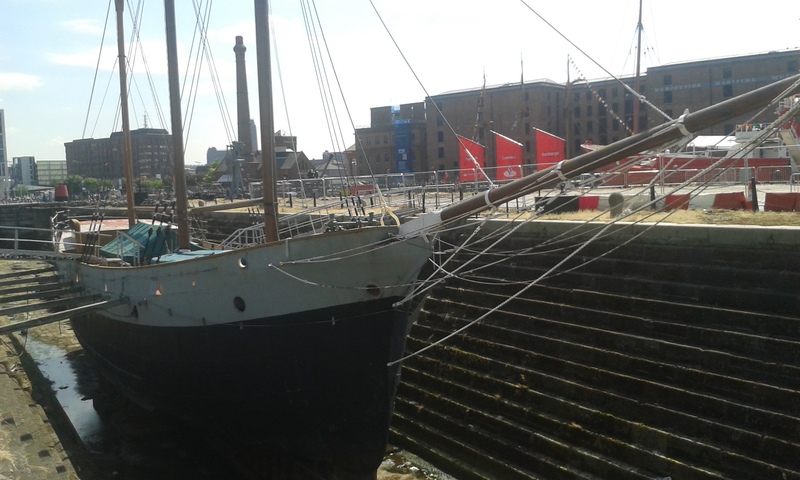 The world-wide shipping slump in the early 1920s forced her sale to Richard Hall of Arklow in the South of Ireland, and it is as an Irish Sea schooner that she is best remembered. From 1922 to 1961, DE WADDEN carried bulk cargoes such as grain, pit-props, china clay, mineral ores, and especially coal from the River Mersey to various Irish ports. Victor Hall, her longest serving Captain, commanded her from 1933 to 1954, and her finest hour was probably during the Second World War when she was one of a small handful of vessels which provided the vital lifeline of supplies to the Irish Republic, after many other ships had been taken up for the British war effort. Her crew consisted of only five men and a boy, and since she could sail, a qualified marine engineer was not required. She carried a motor winch in the forward deckhouse to allow the cargo to be handled without extensive shoreside facilities. The motor was used almost all the time when she was under sail. This allowed the motor schooner to be built with a flat bottom and shallow draught for maximum cargo capacity together with the ability to enter small harbours. Without the push of the motor, this hull shape does not sail very well. Her original 125 hp 'SteyWal Dutch engine gave her a speed of five knots, but after a major failure was replaced by an 80hp Bolinder engine purchased from the Admiralty. In addition a 50 hp Kelvin engine was fitted on the port quarter to give additional power. These were both removed in January 1942 and replaced with a sic cylinder 150 hp Crossley DR diesel which was only replaced in turn by a 450 hp Caterpillar Diesel in 1980. This combination of sail and motor remained economical up to the early 1960s when she finally had to retire in favour of a modern motor coaster. She was therefore sold in Dublin to Mr McSweeney who took her to Scotland for a new and varied career. Her tasks ranged from carrying sand to taking out fishing parties, and she even appeared in a number of films, including The Onedin Line for the BBC. She was eventually put up for sale by her last owner, Kenneth Kennedy of Dunoon, and purchased by the Merseyside Maritime Museum in 1984. 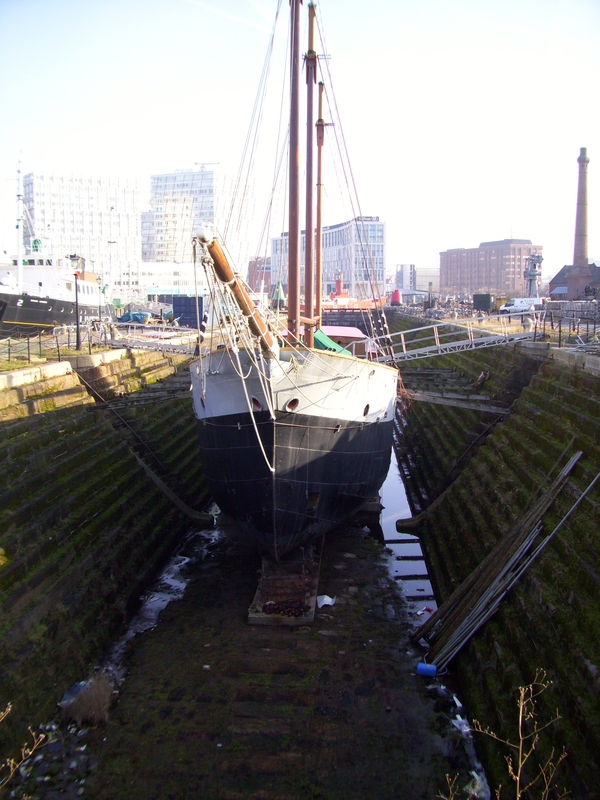 In 1987 she was drydocked to allow an extensive program of conservation and restoration. In the early 1990s the Museum briefly ran some onboard tours and education sessions, before this was withdrawn to allow further necessary conservation work to take place. 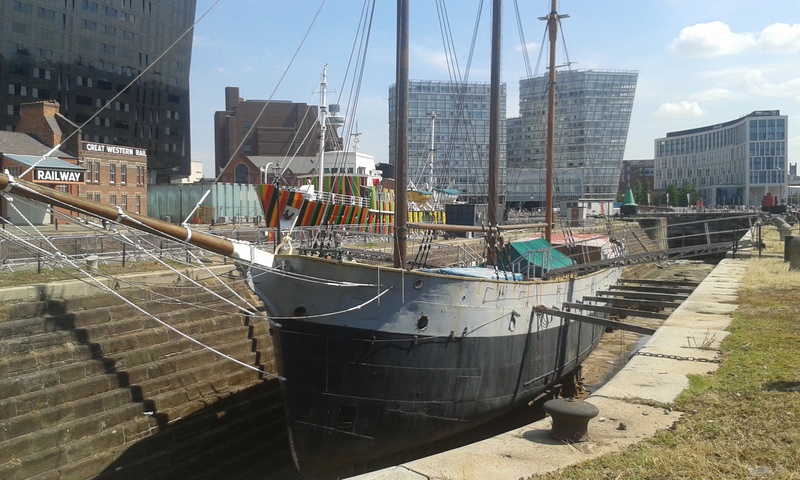 Since then conservation has been ongoing to stabilise her and she has continued to be drydocked next to the Liverpool Pilot Cutter, EDMUND GARDNER.